Nicolas Burnett made a lot of firsts on Monday at the Peppermill. 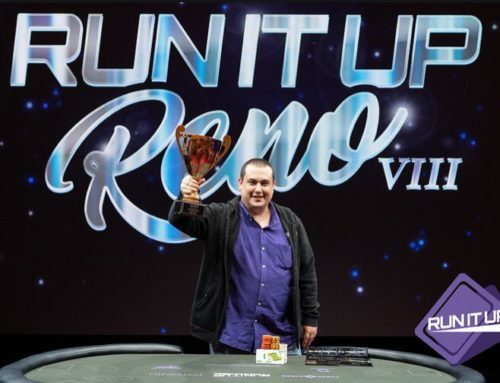 It was his first time at Run It Up Reno and his first time playing five-card pot-limit Omaha. 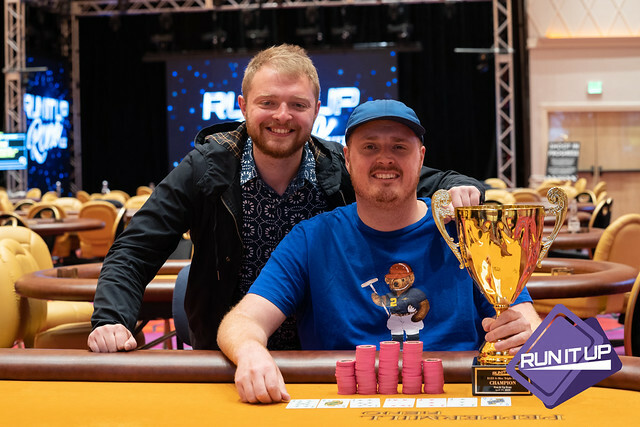 He also left the tournament area with his first RIU title. 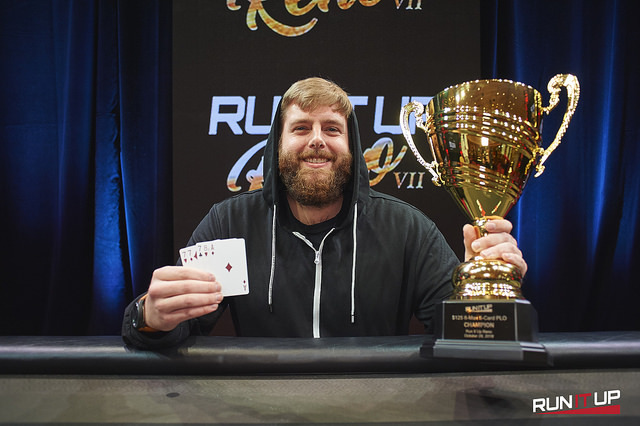 Burnett took down the $125 six-max five-card pot-limit Omaha event, having never played a hand before he sat in the tournament. 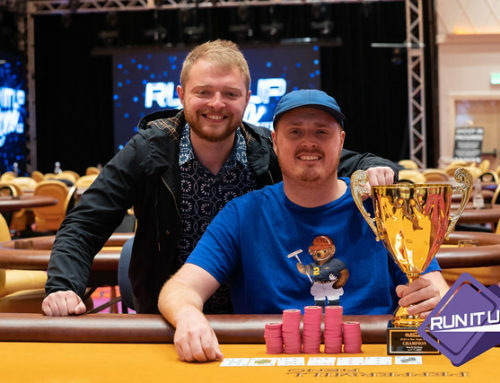 He defeated 82 entries and Pete Mall heads-up to earn $2,140 along with a sizable trophy to take home. 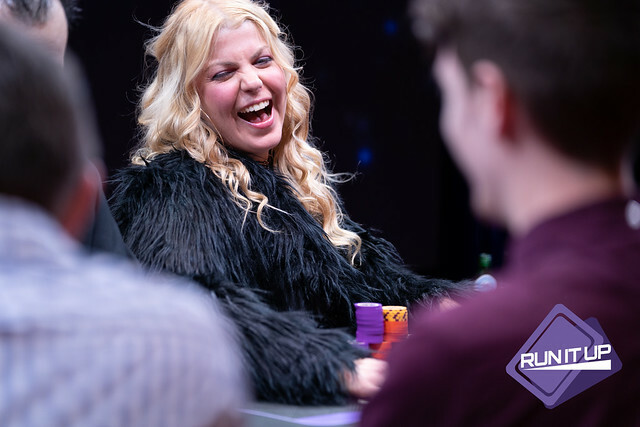 When you don’t have any experience in the game, it sure helps to have some rungood on your side. 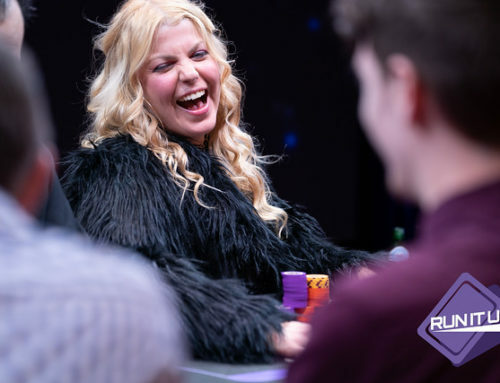 Burnett ran up a huge stack at the final table and started heads-up play with a nearly 10-to-1 chip advantage against Mall. Burnett credits lady luck for most of those chips, but also had built a baseline strategy to get the best of certain opponents. Not everything wen this way though. There were a few minor bumps in the road along the way. 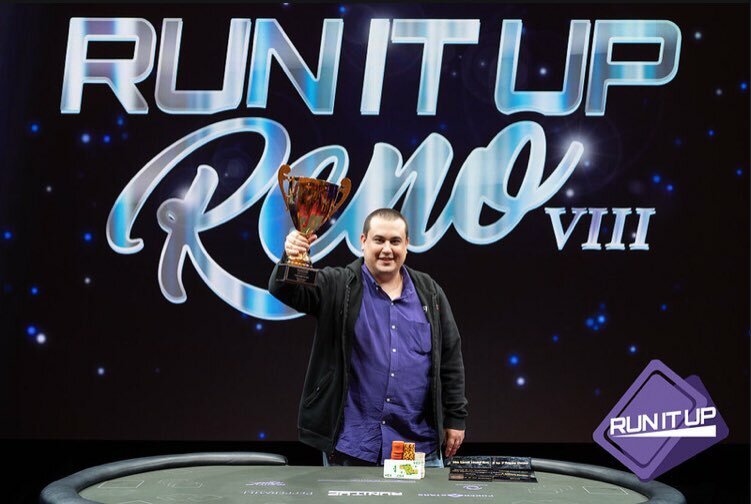 Like yesterday’s winner in the $125 three-card super no-limit hold’em, Jesper Olsen, Burnett just recently moved to Reno. He took a job at the new Tesla plant about six months ago and has been waiting for the next RIU Reno series to come to town.